Although it’s a relatively small project, adding a new or updating an interior railing makes a big impact on your home’s appearance. After all, your staircase and balcony are typically the first things visitors see when they walk into your home. 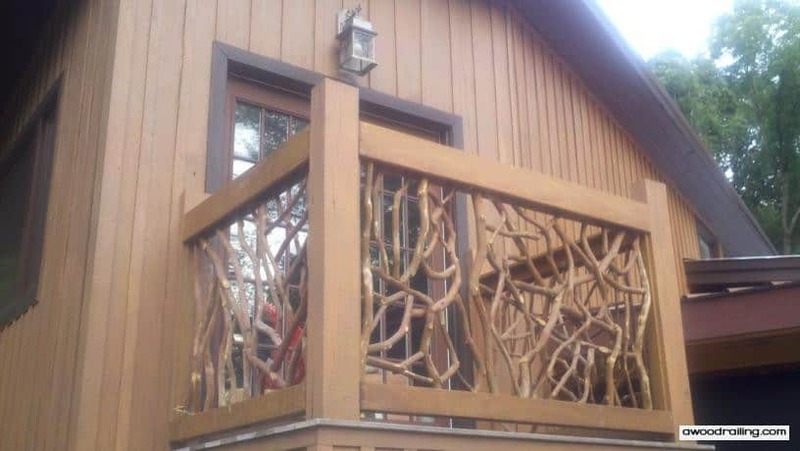 Additionally, Mountain Laurel railings offer a bigger benefit by inspiring designers and homeowners to broaden their creativity with the artful beauty of branches. Let’s take a look at a few small projects with a big impact involving stair and balcony interior wood railing. Each features a simple and straight interior stairway with a balcony that takes advantage of the natural beauty of branch balusters. 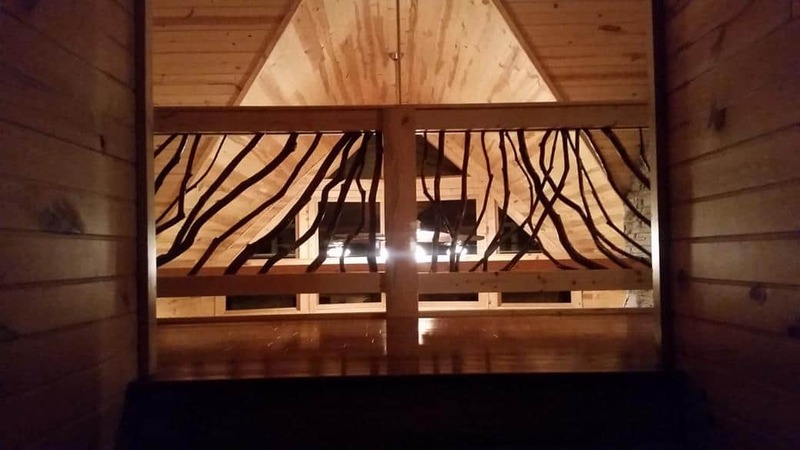 While each home displays its own unique twist on a cabin, country or beach-style interior, the use of wooden rails and branching infill fits beautifully with each design style, ranging from rustic to contemporary. 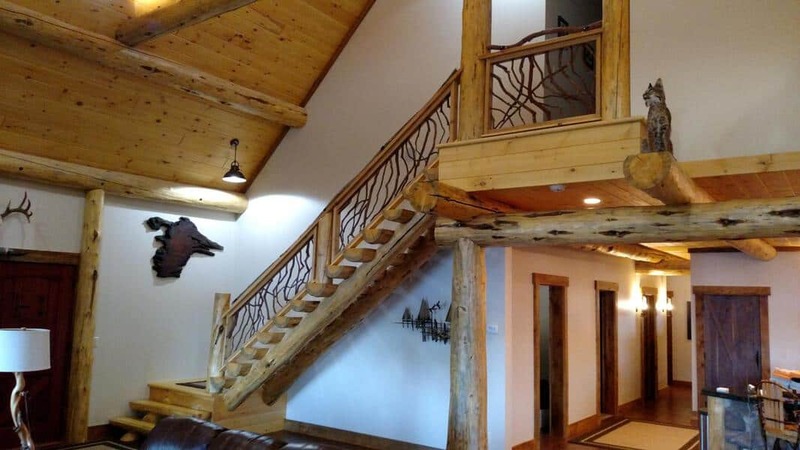 Pictured above, a cabin-style home gets a new staircase with chunky timber steps made to match a bevy of hefty log beams. 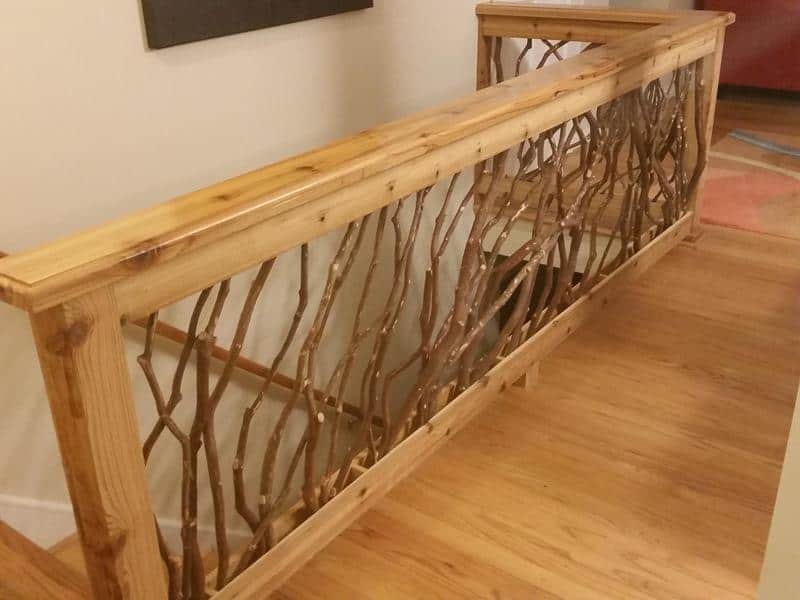 What better way to complete this uniquely rustic look than filling these rails with bark covered branches. 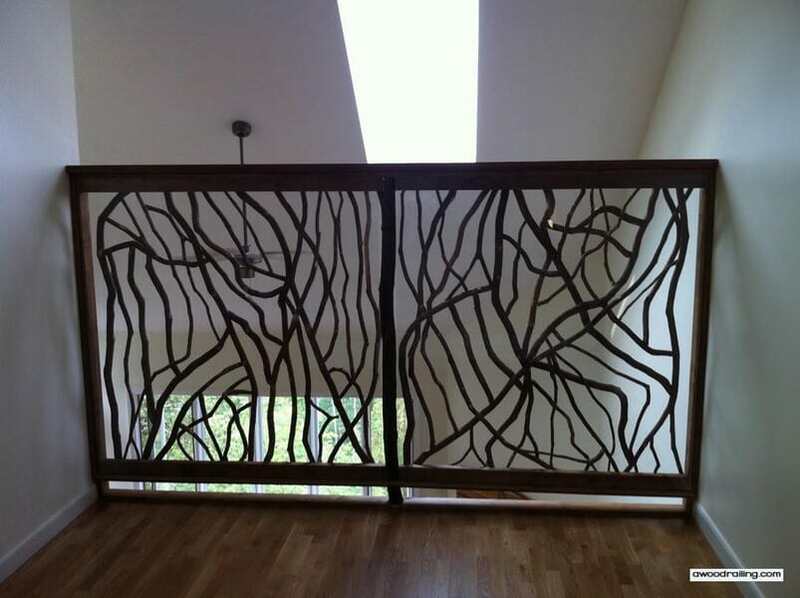 In contrast to the small railing projects shown in the first pictures, the one above displays a more finished appearance to suit a contemporary-style interior. 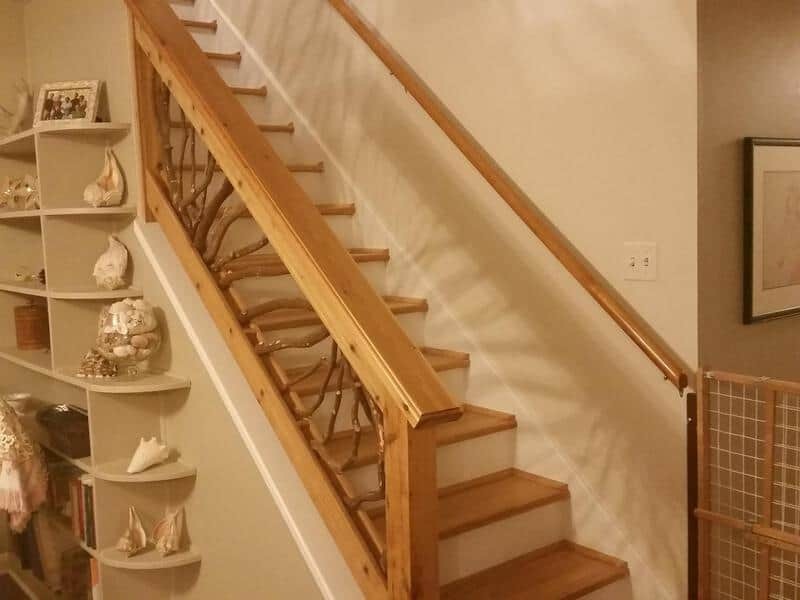 To create this look the railing is installed using a method that hides the triangular gap typically seen when the railing is set in line with the stair stringer. 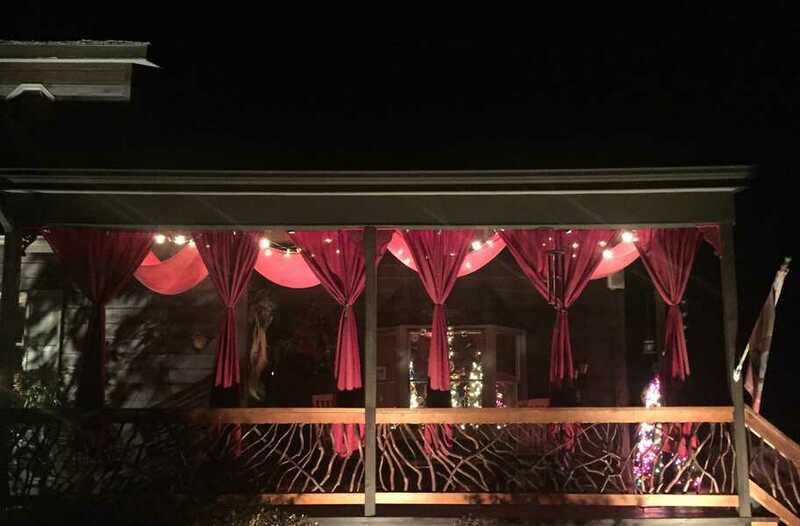 We love our railing and have gotten many compliments on it. Thank you for helping us add the final touch to our dream home. Here’s another gorgeous view of a pair of clean and simple rails framing Mountain Laurel branches, while the shimmering light in the background highlights their sinous shapes. 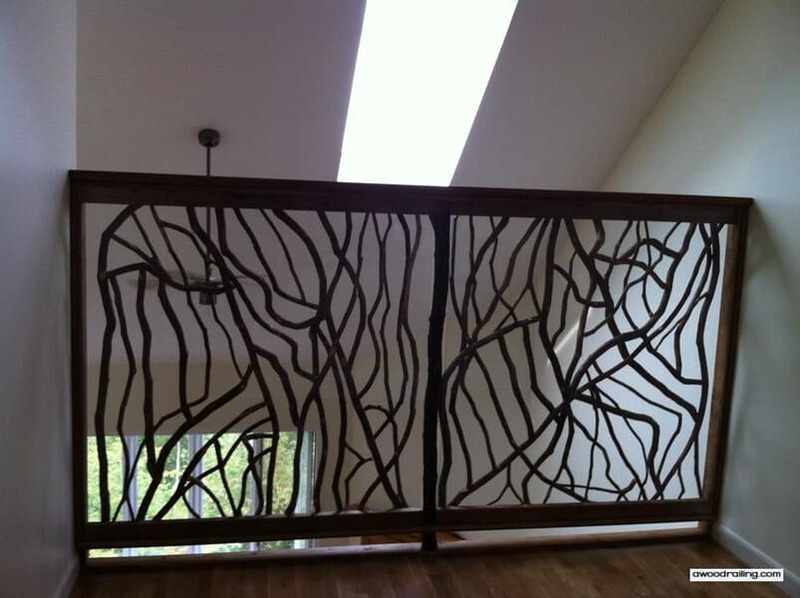 Although the balustrade only contains two sections, it is a focal feature of the room. From an interior design viewpoint, few architectural items standout like an extraordinary staircase and balcony. 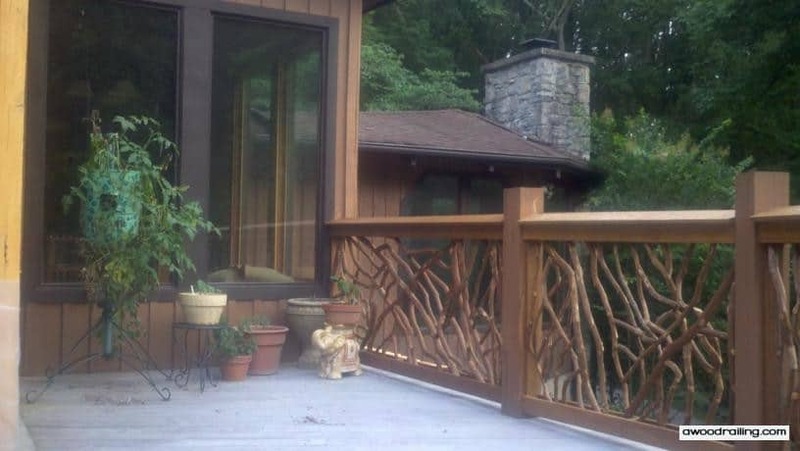 If you’re looking into small railing projects that make a big impact on your home’s appearance, consider Mountain Laurel Railing. Extra Tall is Extra Awesome! These two wood railing sections are extra tall at five feet just for the railing. That puts the top of the railing at almost six feet. 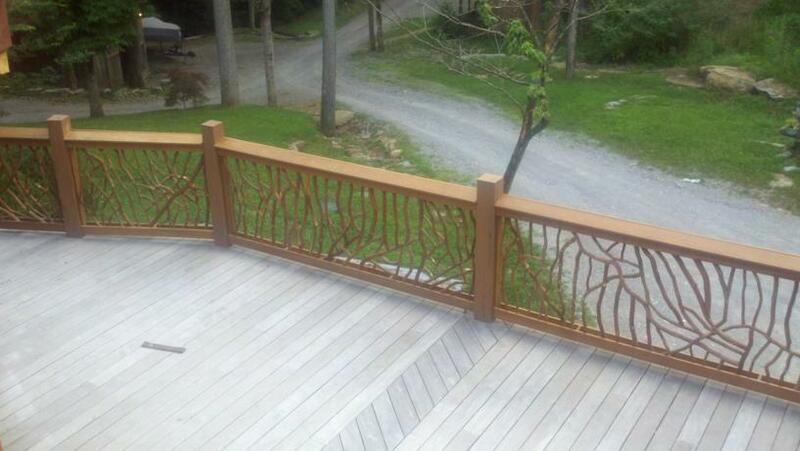 Just another demonstration of how versatile and inventive Mountain Laurel Handrail can be. 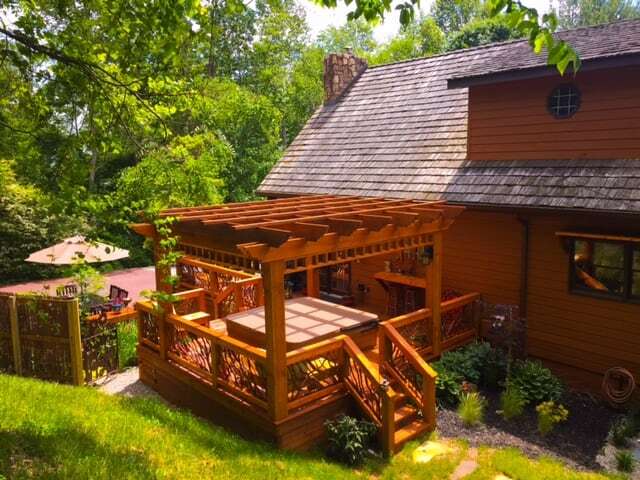 The design of any project is crucial and, on this project, Wood Railing, the contractor and the homeowner worked closely together to ensure the best possible finished product. And as you can see, it turned out wonderfully! 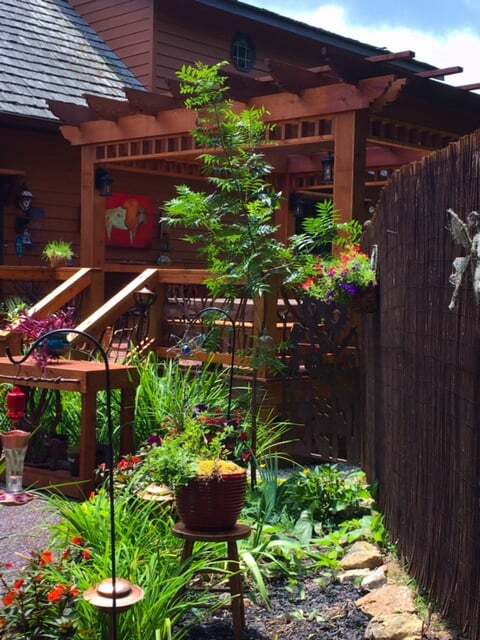 Like all Mountain Laurel Handrails, this was custom made to the owner’s specifications. The homeowner was looking for a special design element to add to her New Hampshire ski home and this was just the ticket! These tall sections are five feet tall and will be installed inside on a loft balcony. For extra added safety, the homeowner will install a piece of plexiglass on the face of the railings. 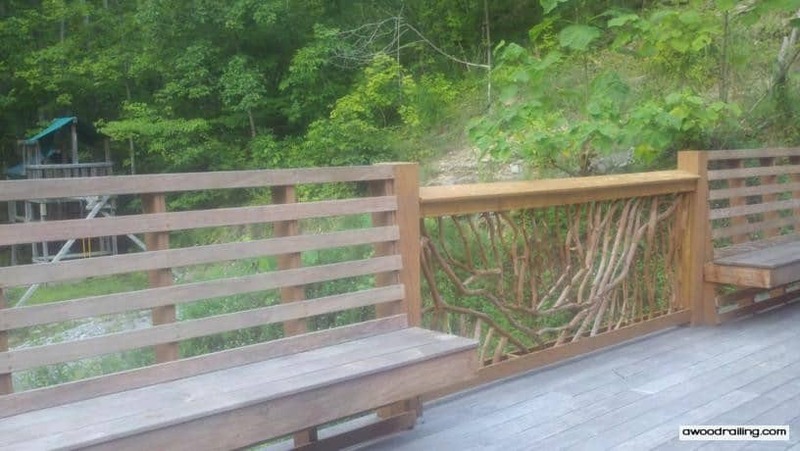 Normally, laurel branches stick out from either side of the handrail but in this case, the branches were left flush or set in from the front of the railing so that the polycarbonate plexiglass can be installed easily. 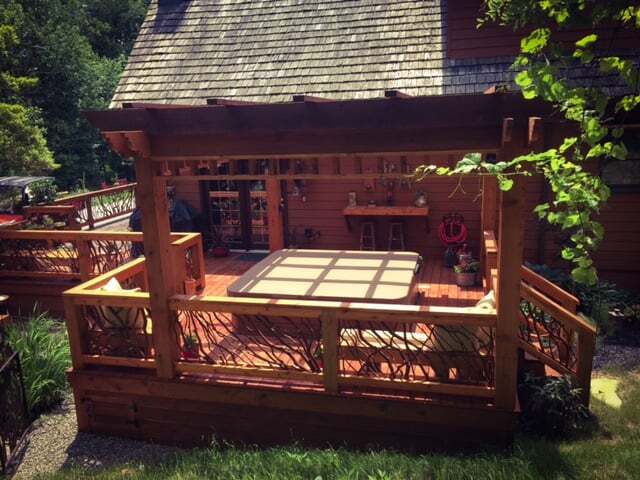 Pictures are a great resource when planning an ipe deck railing project. If you are building new or if you are remodeling, it’s always so helpful to have a picture to look at so that all parties involved in the process can understand the intended design. That’s why using an architect or other design professional for your projects is important. These people have experience in planning and decorating spaces so that you can be assured the best results. 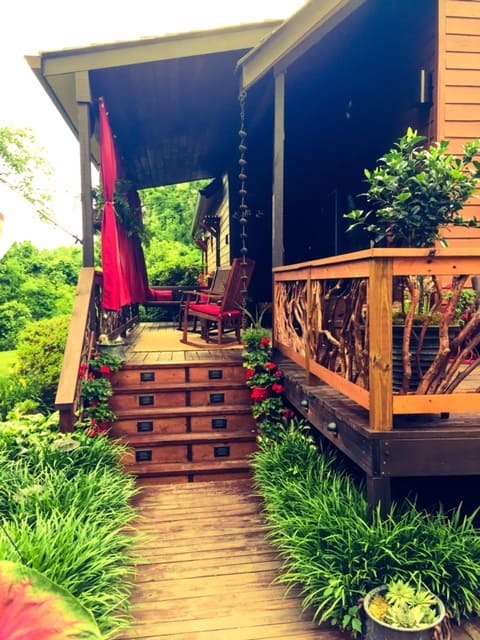 This set of mountain laurel deck railings was installed in Tennessee on a beautiful home built in a lush, verdant, natural setting. The ipe decking has already weathered to a shiny silver. The handrails will follow suit. The natural oak board siding is milled from local lumber. 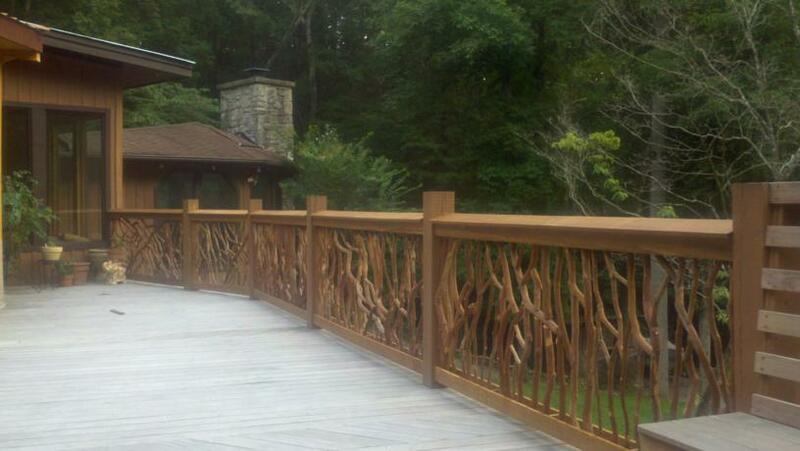 To help in your project planning and design, here are some pictures of deck railing to get you started. 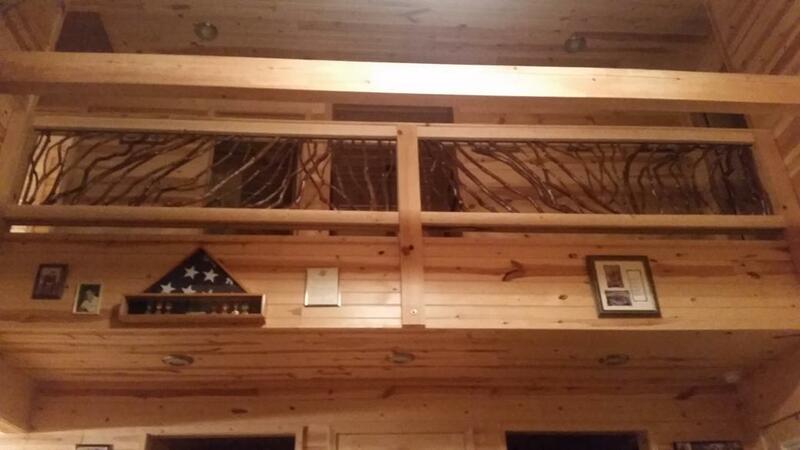 These pictures are from a project that was installed in the mountains of Eastern Tennessee. 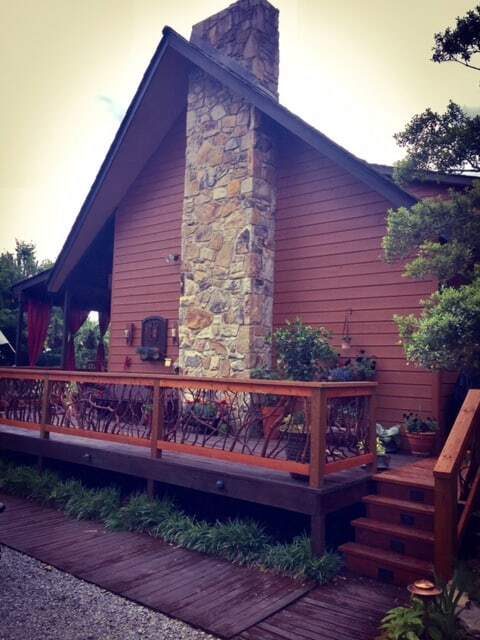 Mountain Laurel Handrails are a great match for this home. Since every project is custom crafted, these sections have ipe wood as the lumber instead of the typical cedar. Ipe is a Brazilian hardwood that is similar in strength, durability, color, and general appearance and characteristics to woods like mahogany and teak. Both the ipe and the mountain laurel branches will turn a lovely silver color as they age. 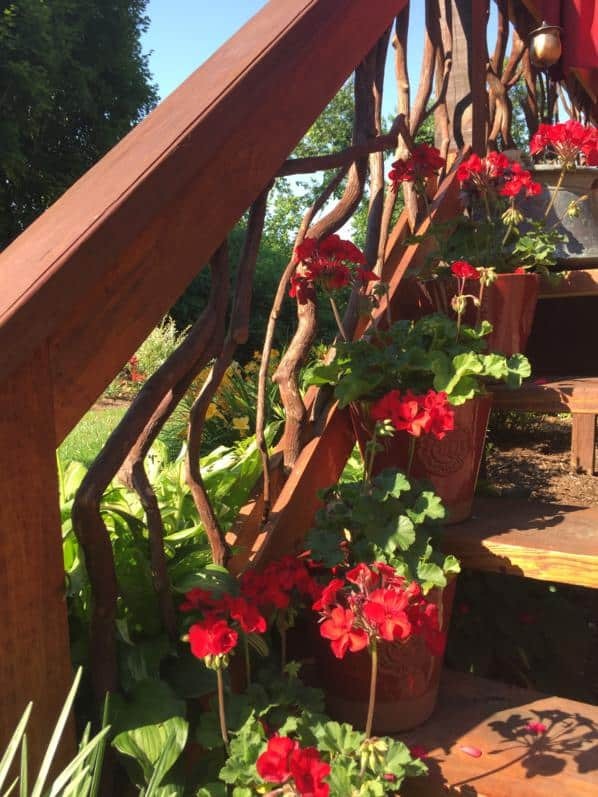 This deck railing planter is one example of an design element that is can be better expressed through the use of a picture. This way you can see what it is that you like and don’t like about the way the bushes are arranged or the way that the different plants look together. Often times, deciding on features that you don’t like is as or more important than making an actual selection. 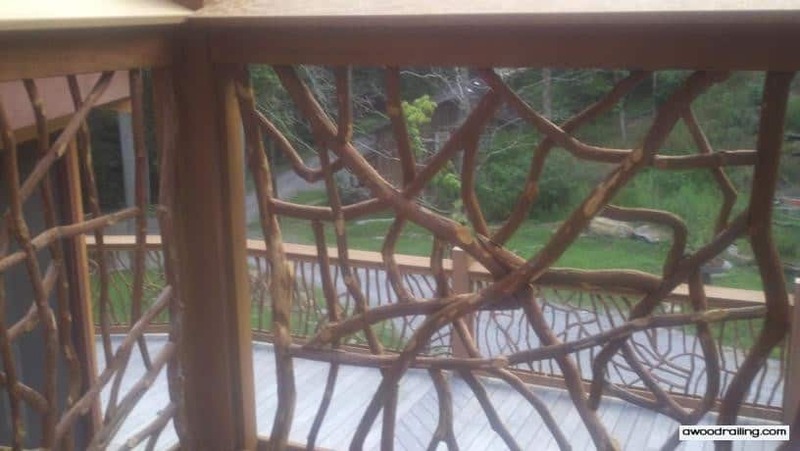 Wood deck railing pictures are helpful for color selections. Choosing a color seems to be one of the most difficult decisions in the whole home building process. Teams that are on-board about all aspects of a given project may end up pulling in entirely different directions when it comes to color selections. Each individual has their own taste and preference for color palettes and ultimately, all design pros involved can only provide a guide to the homeowner who has to make the final decision. These built in bench seats are another great design element. Built in benches conserve space by providing seating that is integral to the perimeter of the deck instead of strewn across the area. 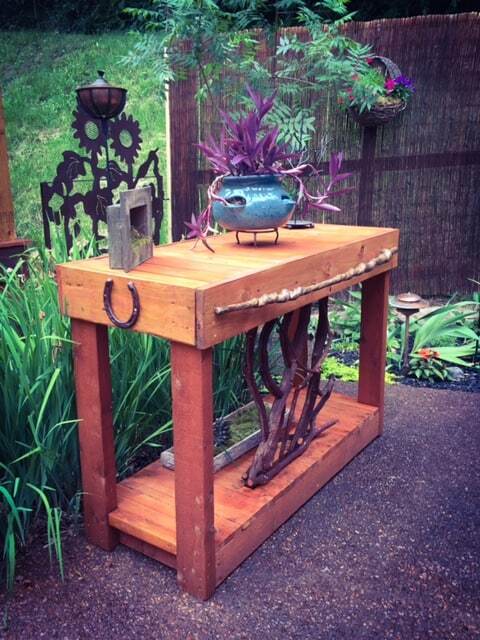 This allows for entirely different options in seating, traffic flow, and entertaining arrangements. 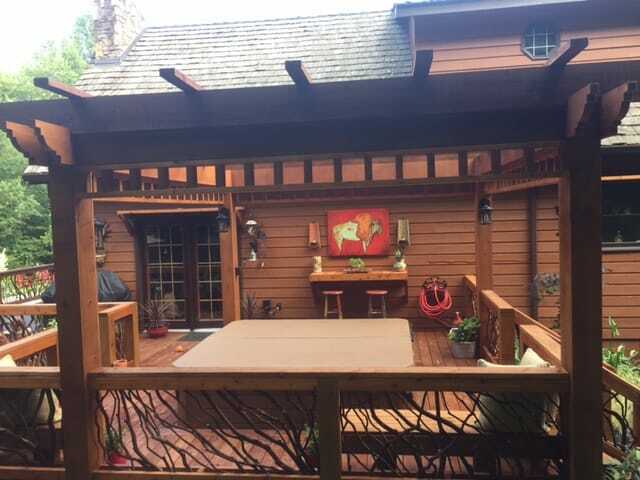 Using built in benches like shown in these pictures is a good choice for most decks. 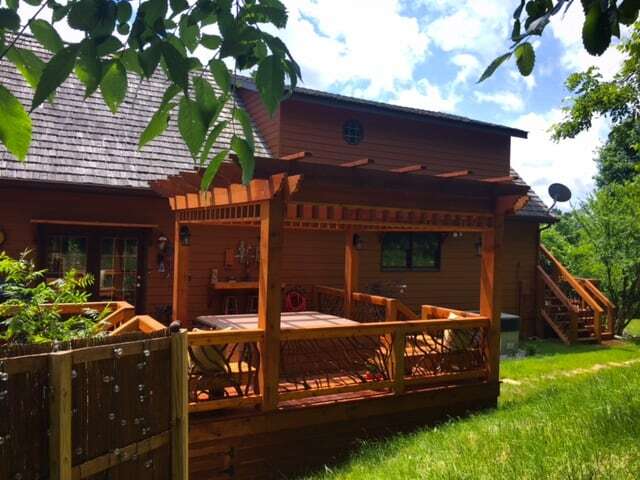 The balcony on this deck really adds to the whole visual impact of this project. Hopefully, these pictures help to inspire your next design! What does Ipe lumber look like? Check out this picture to see what ipe wood looks like. 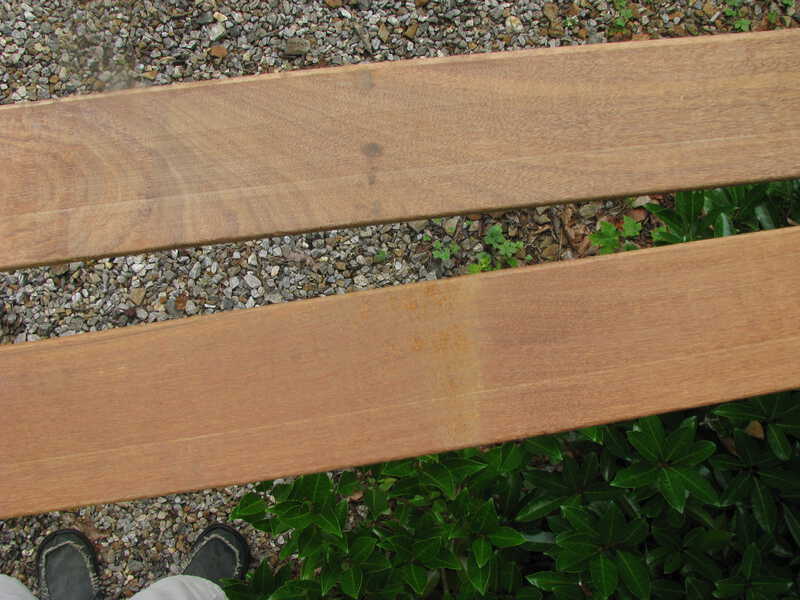 These are the boards used to assemble the deck railing and show a good variety of grain and coloration. The mountain laurel branches are attached to these boards. Ipe is a very hard wood that is similar in appearance to mahogany. 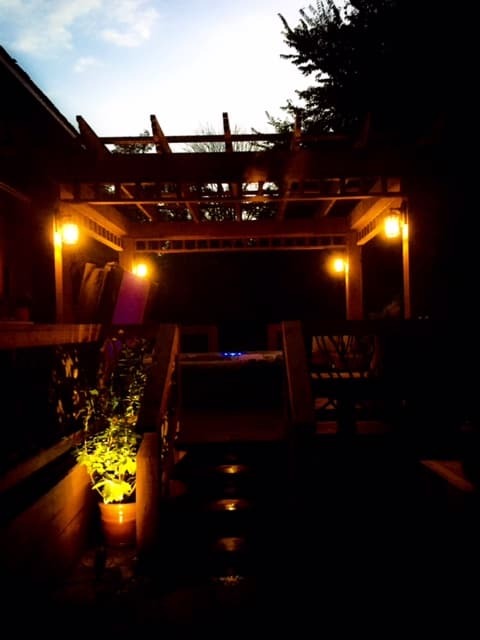 It is resistant to decay from insects and water and is a popular choice for new decks. 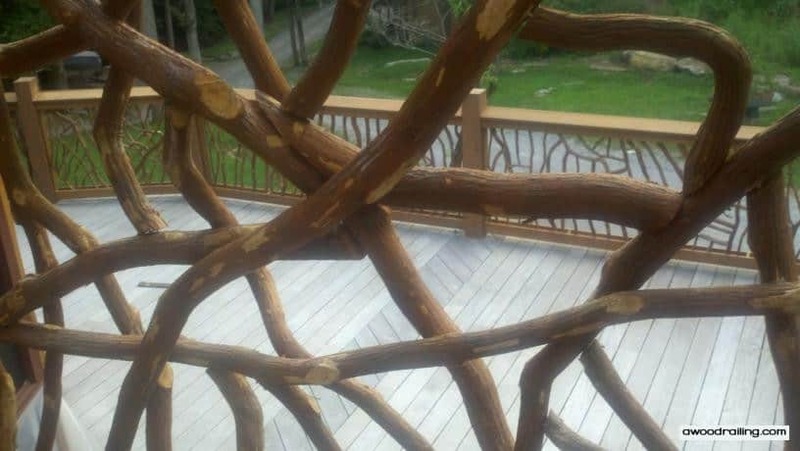 Did you see the 6×6 posts made from the same lumber? I also really like the way that the sunlight highlights the sticks. 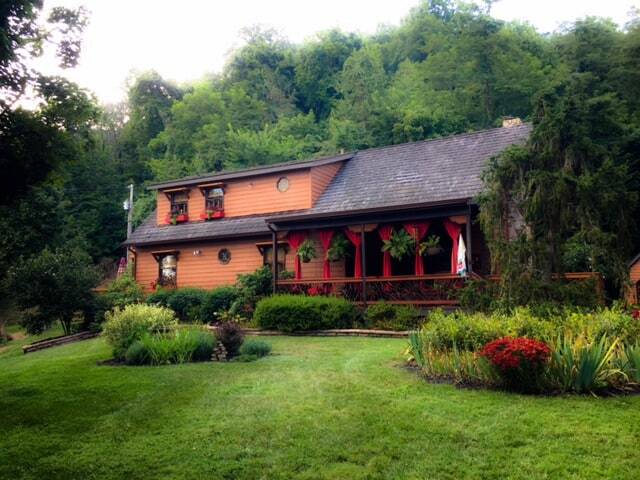 For this house, the homeowner had white and red oak trees from the property milled into siding for the house. 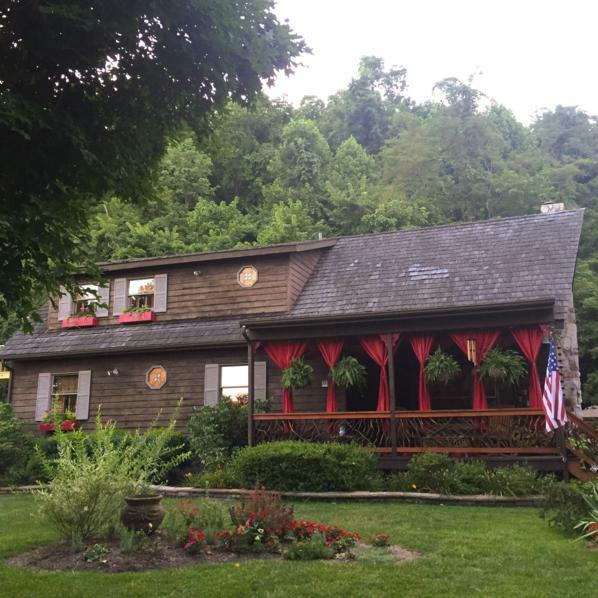 The beautiful natural setting tied to the architecture of this home in so many different ways!